Menehune Shores 309 is the perfect condo to make you feel like you are in a tropical paradise. Unit 401 is an upstairs 2 Bed 2 Bath ocean view unit. 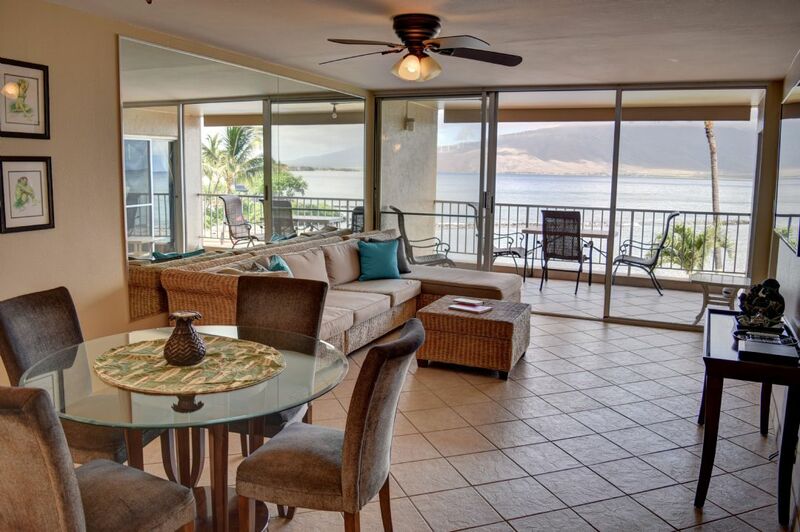 Menehune Shores #425 is an oceanfront ocean view unit with a gorgeous view of the ocean. Unwind on the lanai of your 3BR/2BA and feast your eyes on stunning wide-open views of the Pacific! At Menehune Shores, you’ll have access to a beach with a protected swimming area, an oceanfront pool, shuffleboard, and a BBQ area. 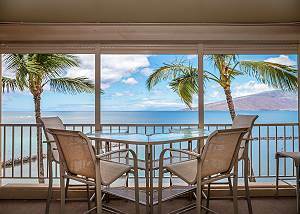 Menehune Shores condos for rent Resort features an oceanfront building that is six stories high with the pristine Maui beach just steps away from the building. 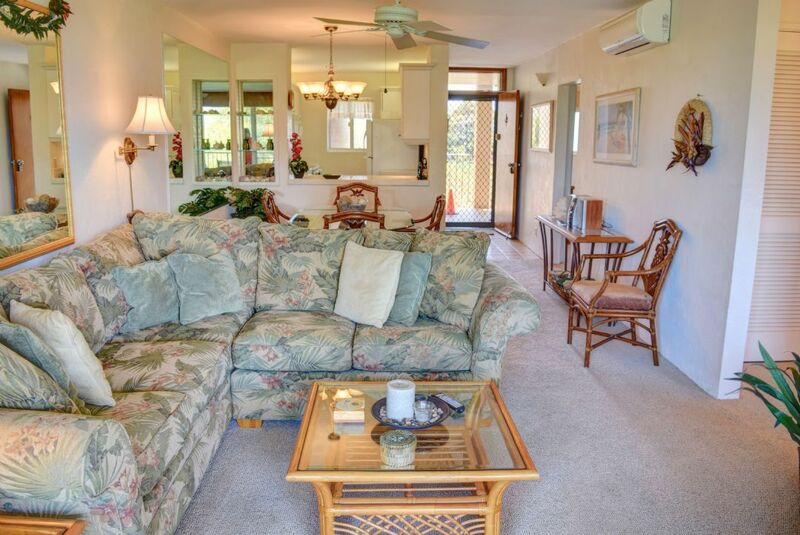 These two bedroom Maui condos are great for families or couples travelling together. Full kitchens, air conditioning, cable TV, VCR, washer, and dryer will help make your stay enjoyable and comfortable. The onsite amenities for these Menehune Shores condos for rent include an oceanfront swimming pool; roof top Barbecue and sunning area, and jazz club restaurant. The small sandy beach is good for launching your windsurfer or kite board. Nearby is Azeka Place (within 1 mile), where a supermarket, post office, bank, drug store and numerous boutiques and restaurants can be found. Oceanfront tennis courts are a quarter of a mile up the road so you will have plenty of activities close by. 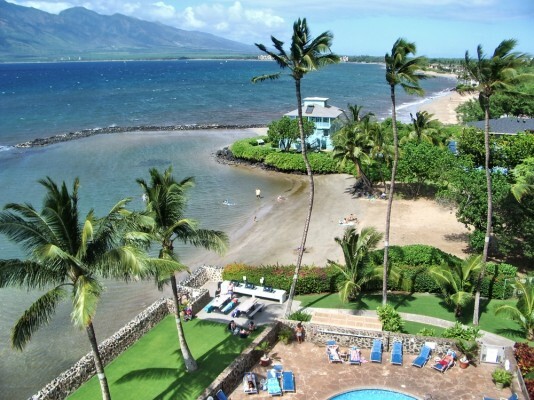 Location in sunny North Kihei, Menehune Shores Resort is approximately 20 minutes from Kahului airport. Come visit us in Hawaii and see why Maui has the best condo rentals in Hawaii.